I accidentally began my career in ice cream upon graduation from Temple University in 1976, with a degree in psychology. An oddball from birth, I had attended Catholic seminary, been a Boy Scout, a Santa Claus, a plumber’s helper, a ditch digger, and a short order cook, all while in school. My first job as a college graduate was as a dishwasher at Hillary’s Homemade Ice Cream, next door to where I lived in center city Philadelphia. Though I figured the job would be a temporary one just to pay the bills, I worked my way up the ladder to being a scooper, then ice cream maker, and finally the manager of the shop. While at Hillary’s, I witnessed daily the power and magic of ice cream. I realized that ice cream connects you to some of the fondest memories of your childhood . . . the love you received from your parents and the happiness of times spent with family and friends. I knew what I was really serving wasn’t just a treat, it was love in a cone. I became a man on a mission . . . a mission to make really good, scratch recipe ice cream and to serve my customers well. "Well", in the sense that an ice cream shop should be a special place, a place where everyone, employees and customers alike, were treated fairly, kindly, respectfully and with a sense of humor. In order to ensure the success of my future business, I first learned professional restaurant operations as a Wendy’s Hamburger manager for the next 3 years. 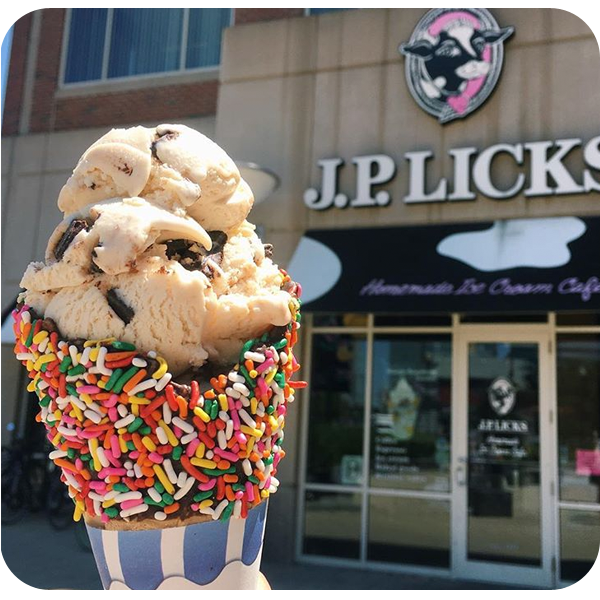 Finally, although a male, I gave birth to J.P. Licks Homemade Ice Cream as a 26 year old, in 1981, in my Jamaica Plain ("J.P.") neighborhood of Boston. My business partner for the first several years of J.P. Licks’ life, Michael Herbert, was also present at its birth. The shop immediately began to gain popularity and became a hit with local residents and area college students. Its eclectic look gave the store a distinctive atmosphere and my staff , mostly Mass College of Art students (who one customer good naturedly described in 1981, as a "freak show of polite, tattooed, body pierced, gay and lesbian kids, and other assorted weirdos"), added to the shop’s unique environment. J.P. Licks was not your traditional New England ice cream parlor. The ice creams were described in the first newspaper review as having "intense flavors, lacking any subtlety, like a sledge-hammer on your palate" . . . kinda like its founder’s personality. The reviewer also suggested to readers " . . . you’d better hurry in to taste for yourself, because this place won’t be in business for long." (Oh well, they got the first part right at least). In 1987, we began making hard and soft frozen yogurt from scratch recipes, achieving the same level of flavor intensity but without the fat. The frozen yogurt "fad", has never ended for us. Frozen yogurt continues to account for 1/3 of our sales. In 1999, we began roasting our own coffee, at our Jamaica Plain "Mothership" (production facility, corporate offices, and retail shop housed in a former Victorian fire house) roasting Organic and Fair Trade beans, our espresso and brewed coffee. Staying true to our commitment to serve the customers of each neighborhood in which we do business, everything J.P. Licks makes and serves is Kosher certified to meet the needs of many of our Jewish customers and we create many ice cream flavors catering to the tastes of our ethnically diverse neighbors as well. 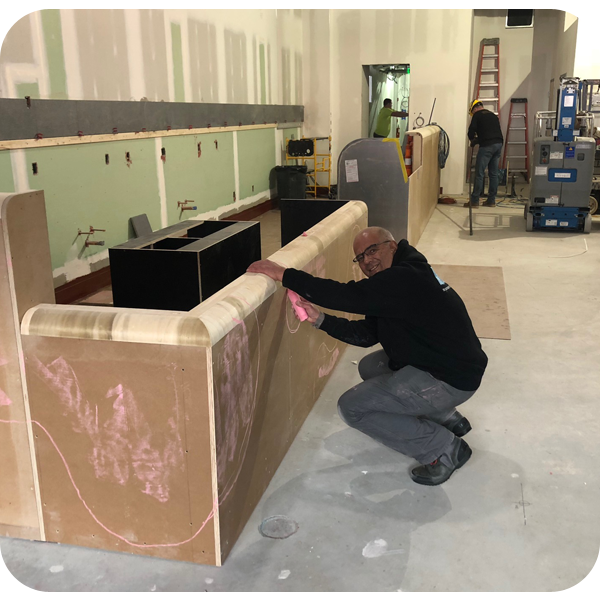 We have 16 stores now, 8 Boston locations and 8 in neighboring towns. All are within 20 miles of our J.P. home base, affording us easy access to monitor store operations, cleanliness, and most importantly, friendly and efficient customer service. If you've been around as a business for almost three decades, you’re bound to get a bunch of "Best of . . . " awards, and J.P. Licks has won its fair share . . . over 400 so far. My personal favorite was Boston’s Weekly Dig Magazine’s 2005 award for creating the "Best and Pukiest Flavors of the Year" . . . the "best" was for our "El Diablo", a cinnamon chocolate flavor, heavily laced with cayenne pepper, and "pukiest" for our Bloody Virgin Mary sorbet. It was a refreshingly different accolade. 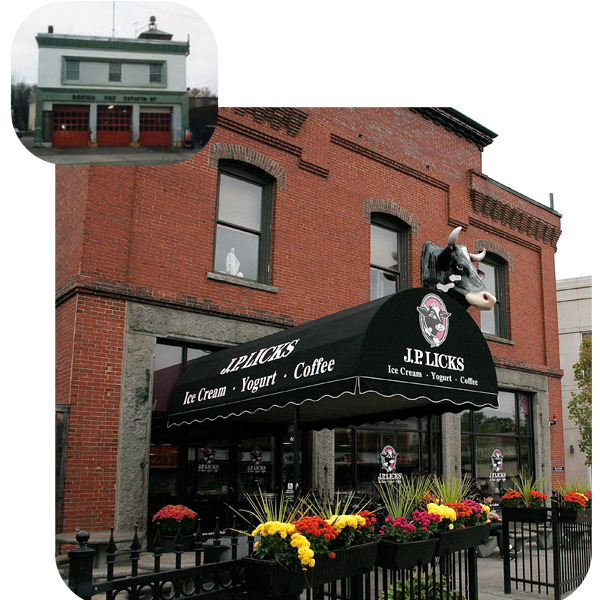 2006 saw J.P. Licks chosen as the Small Business of the Year by the Greater Boston Chamber of Commerce, from over 150 nominees, for our commitment to the community and for business excellence. This award recognized the hard work and success of my management staff for not only "getting us bigger", but more importantly, "getting us better". So, when folks ask "what’s your plan for the future?". Sometimes I have been known to respond, when the spirit moves me, by singing (and badly imitating Doris Day) . . . "Que sera, sera . . . whatever will be, will be. The future’s not ours to see, que sera, sera". The owner of J.P. Licks opened more than a store in 1981. He created his own world. Get to know Vince and more about J.P. Licks in this nice article published in the Boston Globe.